The story told here, begins with Freddie Mercury’s inception into the band Smile (later to be named Queen) and carries it all the way through to their historic performance at the Live Aid concert in 1985. 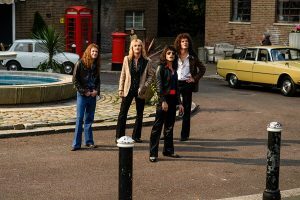 The film focuses primarily on Queen after the band has been established as we are only treated to about 10 to 15 minutes of their formative process at the beginning of the movie. Due to this, the story really does go from 0 to 100 quite quickly. 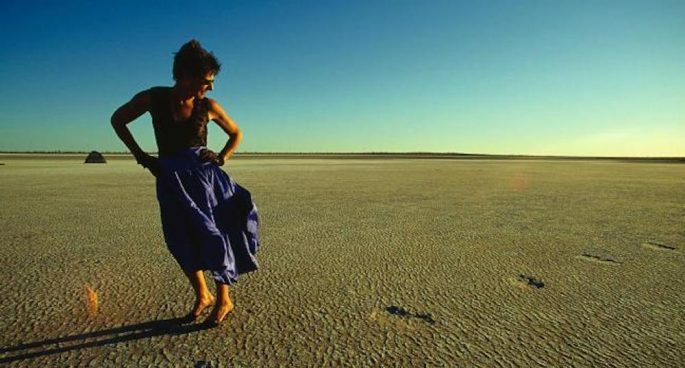 That said, the majority of the film meanders around the lives of the band members – well really, Freddie Mercury at the highest point of fame. Because of its PG-13 rating, the film doesn’t delve too deeply into Mercury’s off-the-wall antics and/or homosexual experiences, but instead chooses to focus on his one heterosexual relationship with partner, Mary Austin and his private and professional dealings with his fellow band members. This depiction of the legendary Freddie Mercury in one sense is a little jaded but it does work within the confines of the story that Bohemian Rhapsody chooses to tell. Despite the film’s obvious pacing issues, the performances here are all stellar and well- researched. 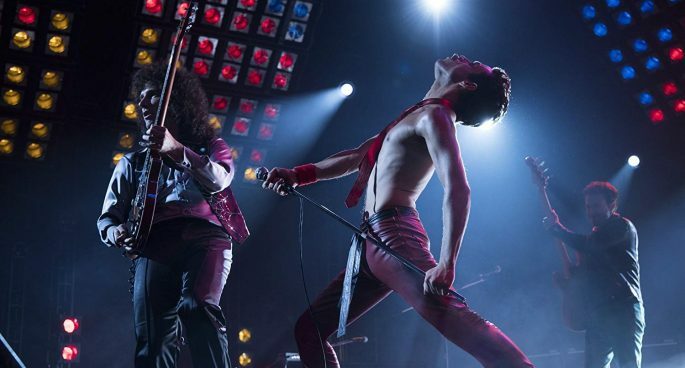 Rami Malek does an amazing job at encapsulating the raw energy of Mercury’s live performance and his flamboyant extravagance on and off the stage. Mike Myers offers a humorous cameo appearance as EMI executive Ray Foster who delivers anecdotal one liners about Queen never being successful if they release 6 minute operatic-inspired music. 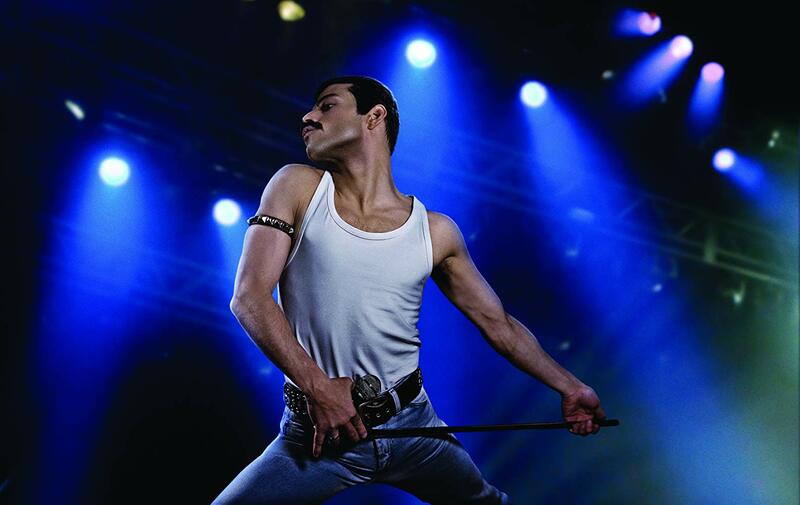 Supporting cast members Gwilym Lee, Ben Hardy and Joseph Mazzello all deliver sound performances as the other members of Queen offering quick quips and throwaway lines that garner a few chuckles, but ultimately set up more poignant moments for Malek to shine as Mercury. It is a biopic about his life after all. 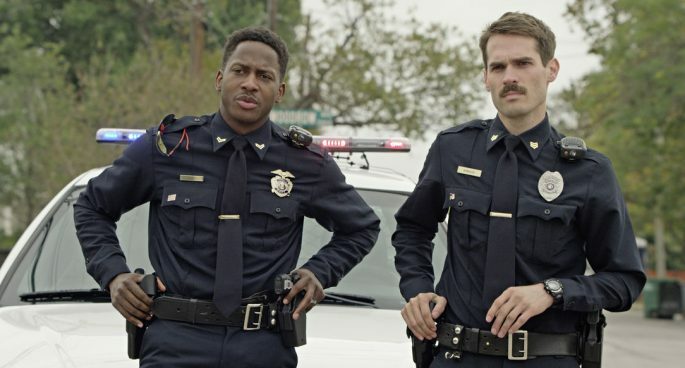 Overall Bohemian Rhapsody is a mixed bag. It features outstanding performances from its cast with Malek stealing the show as Mercury and a choice selection of Queen’s greatest hits. However it is bogged down by historical inaccuracies and held back further by direction and pacing issues. Bohemian Rhapsody won’t teach you anything about Queen and Freddie Mercury that you didn’t already know, but that doesn’t mean that it won’t rock you.